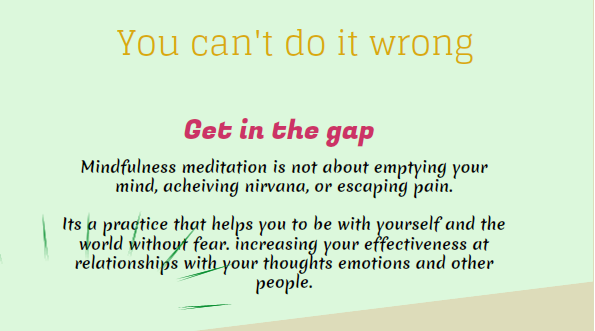 What is Meditation? Â This is a tricky question because meditation is beyond the understanding of the mind. Meditation could even be said to be the recognition of what you are beyond the mind and body. Beyond thinking, there is a sense that you exist. Â Not existing as a name or person, but as the simple experience of being without definition or description. Â When someone asks “what is meditation?” you could almost say meditation is the recognition that “I am,” yet even the “I” in that sentence will disappear in meditation. Â So then we are left with “am:” the essence of being. And this natural sense of being is experienced as unconditional peace, bliss and love. Â Unconditional meaning it is not there for any reason. Â When you are immersed in your natural state of being, bliss is naturally there, radiating love and peace on its own accord, in the same way the nature of the sun is to shine. Stress is born out of separation. Â You experience stress and conflict because you experience yourself as something separate from everything else. Â So you are in constant conflict with everything else because there is the feeling that you have to survive, you have to protect yourself from everything that is separate from you. This is what is called the ego, and it is necessary for you as a body to survive. Â For if there was no ego, there would be no urge to survive, to protect ourselves and feed ourselves. But the very nature of the ego is stress and conflict, the opposite of peace and love. Â The stronger the sense of separateness, the stronger the feeling of fear, desire, stress, hatred, aggression takes over our lives. So in meditation, we want to move beyond the ego, beyond this separate sense of me to experience the essence of what is here. So when you begin to meditate and taste this sense of being, you begin to feel peace, bliss and love. Â You feel it moving through you as a subtle energy current that heals you, nurtures you and awakens you more and more deeply into this feeling of peace. And as you move deeper into meditation, when you transcend this separate sense of “me” altogether, you recognize that you are peace itself. Â There is no “you” there but love itself. Â It is a sense of conscious, blissful radiance that has no boundaries, beyond time and space. And then this peace you experience in meditation begins to flood into your normal day to day life. Â So you can be working or playing or driving or walking or eating and there is this sense of peace that is always there, the sense that you are beyond the ego. So truly if someone asks you “what is meditation?” Â The real answer would be to rest in your natural self. Â Not to even speak it, but demonstrate it. Â Then perhaps something very beautiful gets conveyed to the one asking the question. For thousands of years, the most tried and true method to experiencing deep blissful meditation was to have someone who has mastered meditation directly awaken meditation in you, through touch, sound or simply by sitting in the same room with you. There are some unique meditation music CDs that can awaken you into deep states of meditation in the same way. Â Visit the “Spiritual Awakening CD” Link below to listen to free samples. Â Just by listening to the samples, you will be able to experience the peace and bliss that is talked about in this article.